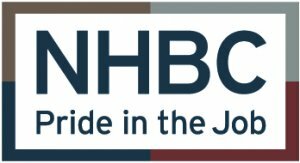 NHBC Pride in the Job campaign 2018: 83 of our Site Managers have won 2018 NHBC Pride in the Job Quality Awards. This is the fourteenth year in a row that our site managers have picked up more awards than any other housebuilder. Health and Safety Awards 2018: Ten of our ​​site managers have been recognised with commendations in the 2018 NHBC Health and Safety Awards. NHBC Pride in the Job campaign 2017: our site managers won 74 Quality Awards – more than any other housebuilder for the thirteenth year running. HBF Customer Satisfaction Survey 2017: Barratt Group is the only major national housebuilder to retain a 5 Star rating for the eighth consecutive year. Sunday Times British Homes Awards 2016: Homebuilder of the Year winner. NHBC Pride in the Job campaign 2016: our site managers won 79 Quality Awards – more than any other housebuilder for the twelfth year running. What House? Awards 2015: Sustainable Developer of the Year. Housing Design Awards 2015: Two project category winners – Barnet & Southgate College, London and Cottam Hall, Preston. National Apprenticeship Awards 2014: Macro Employer of the Year – for companies with over 5,000 employees. Property Week magazine RESI Awards 2014: Large Developer of the Year winner. Best Graduate Employer 2013-2014: The Job Crowd's Top 100 Best large Companies for Graduates to work. Our site managers have won 83 Pride in the Job awards! ​83 of our Site Managers have won 2018 NHBC Pride in the Job Quality Awards. This is the fourteenth year in a row that our site managers have picked up more awards than any other housebuilder. Pride in the Job is the only UK-wide competition dedicated to recognising site managers who achieve the highest standards in housebuilding, with winners selected from more than 16,000 site managers working on sites registered with the NHBC.One of the four priorities we've set as a business is Leading Construction - a commitment to delivering the highest quality homes and focusing on excellence across all aspects of our construction activity. Our 83 winning site managers are great examples of this priority in action. Our Cane Hill development, a joint venture between Kent and Southern Counties, won the Graham Pye Award for best family friendly scheme at the recent Housing Design Awards.The Housing Design Awards are the only Awards promoted by all 5 major professional institutions – RICS, RIBA, RPTI, Landscape Institute and Chartered Institute of Architectural Technologists - recognising excellence in design.Adam Tillion, Regional Technical Director, Southern, said: "We're particularly pleased with winning the Graham Pye award, as it's for the most family friendly design. 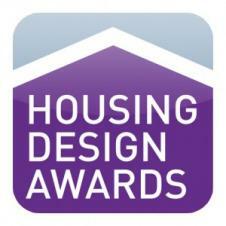 "The judges said that they were impressed with the high quality family housing, both externally and internally. With particular emphasis on the efficient use of space and natural light to allow a family to not only live comfortably but to thrive."